ROCOL has one of the widest portfolios of food grade products in the market. We are recognised for our pioneering new technologies and our FOODLUBE® products hold ISO 21469 certification, Halal, Kosher and NSF H1 approvals and accreditations. In addition to the FOODLUBE branded range, ROCOL also supplies other NSF registered cleaners and lubricants which meet food industry requirements. An advanced, next-generation grease designed specifically for the challenges of the food processing industry. The grease retains its consistency and doesn’t set firm, even in the most humid environments and during frequent wash-downs, providing the reassurance that you will be able to disassemble your equipment at any point in the future. Find out about FOODLUBE Anti-Seize here or read our latest blog post. 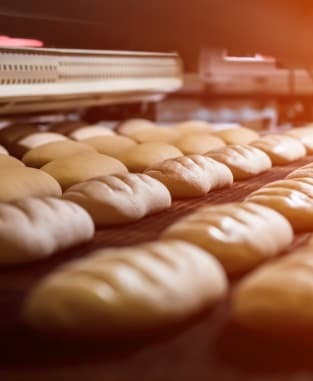 With ever more stringent food regulatory standards, increasing globalisation of supply chains and enhanced testing capabilities, risk management within the food and beverage industry has never been so complex. ROCOL® helps simplify things. 30 years of experience working in the food industry means we understand the challenges faced by our customers. That’s why we developed DETEX; metal detectable plastic actuators and caps for all our food grade aerosols and cartridges. 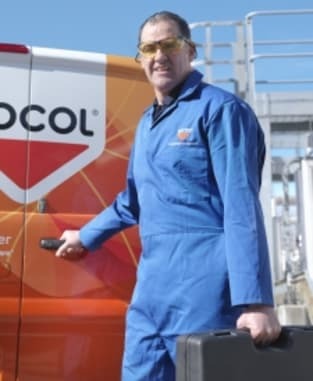 Here at ROCOL we understand that high quality and efficiency is key to your operation. To help you achieve this, we offer free advice and support alongside our paid premium care packages. Our range of food grade products are supported by ROCOLcare®, our full technical and support package. 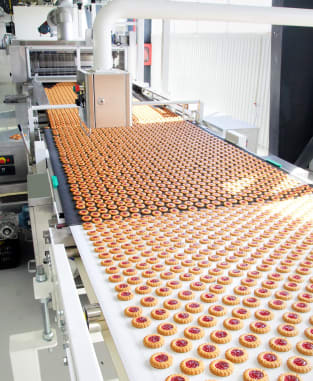 This is a tailored service which includes an on-site survey and lubrication and maintenance schedule, to ensure you are fully food industry compliant- giving you peace of mind. 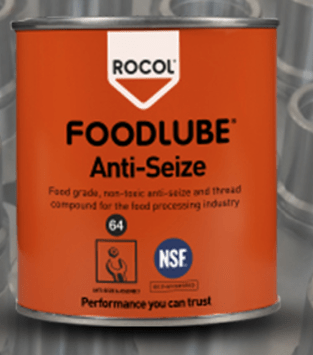 The ROCOL FOODLUBE range provides technically advanced lubricants to all sectors within the Food and Beverage industry; Beverage, Bakery, Meat, Dairy, Fruit & Veg and Confectionary. 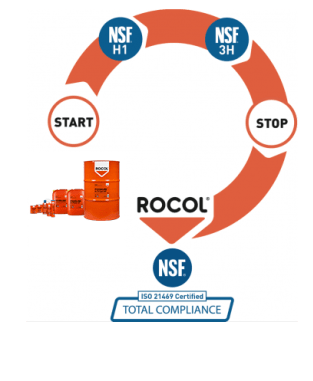 ROCOL offers certified training for all Technical Operatives resulting in improvements to Technical Operatives/Operators lubrication awareness. Lubrication is an essential element of an efficient maintenance programme – this is emphasised in the lessons. The training programme can link to your Standard Operating Procedures. It Involves hands on learning, improving the level of understanding, increasing knowledge and encouraging confidence. On site at ROCOL House Training Academy or a schedule of training sessions at your facility can be organised. Also, there is the possibility to set up remote training facilities. Training is tailored for varying skills sets e.g. Apprentices, Fitters, Operators etc. We adapt our training to complement existing employer training programmes. Training is done by professional and highly qualified ROCOL trainers. 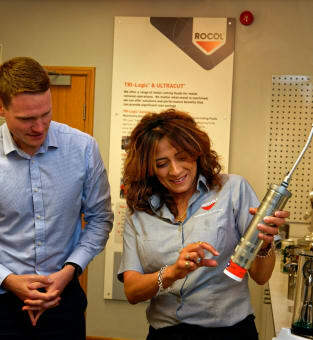 A premium standard of training is offered to all ROCOLcare customers. We also tailor individual programmes to suit all Technical Operatives requirements, ranging from “The Essential Principles of Lubrication” to “Train The Trainer” courses. 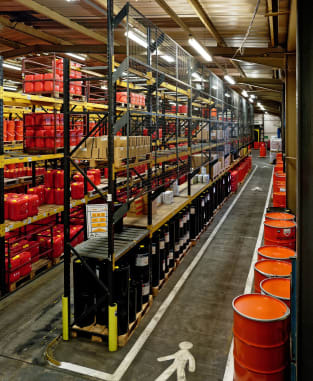 Managing your lubricant inventory can be tricky, especially when you are dealing with food. That’s where our food grade product management system comes in. We offer a whole range of solutions to help you and you can rely on our experience to make sure you have the best systems in place. Most manufacturers are aware that they need to use food grade lubricants in areas where product contamination through lubricant use is possible. 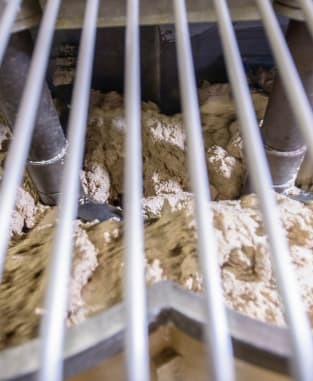 What you may not know, is that if you’re using non-food grade lubricants in a food processing facility, you must be able to prove that there is no risk of a non-food grade lubricant being used in a potential contamination area. Read on to learn more about compliance and how ROCOL helps you achieve it.